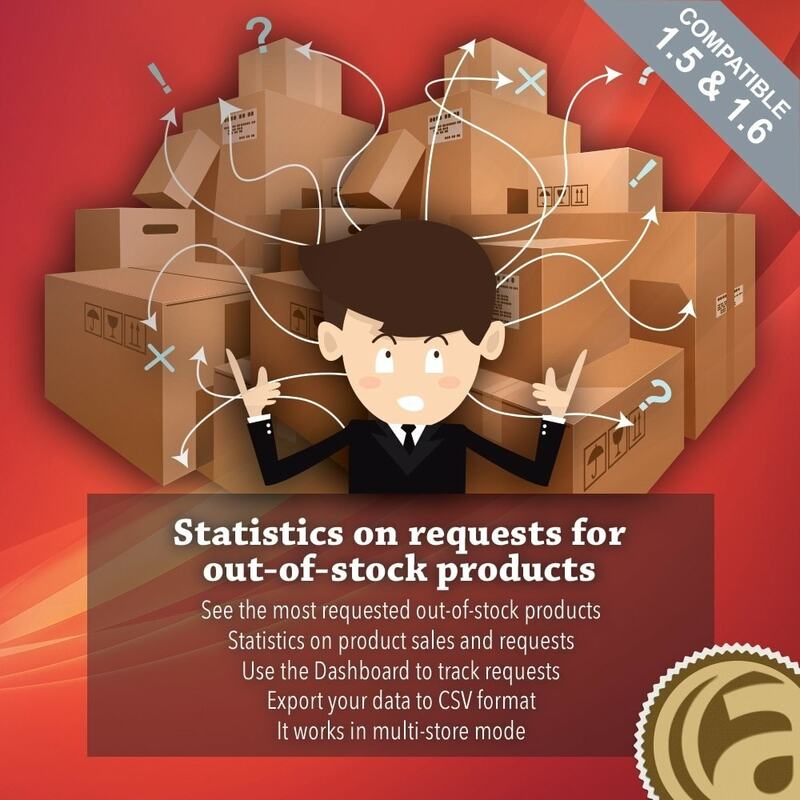 The module «Statistics on requests for out-of-stock products» will let you see and analyze your customers’ requests for out-of-stock products. Optimize restocking based on customer expectations. Optimize the management of your catalog by effectively analyzing customer expectations. 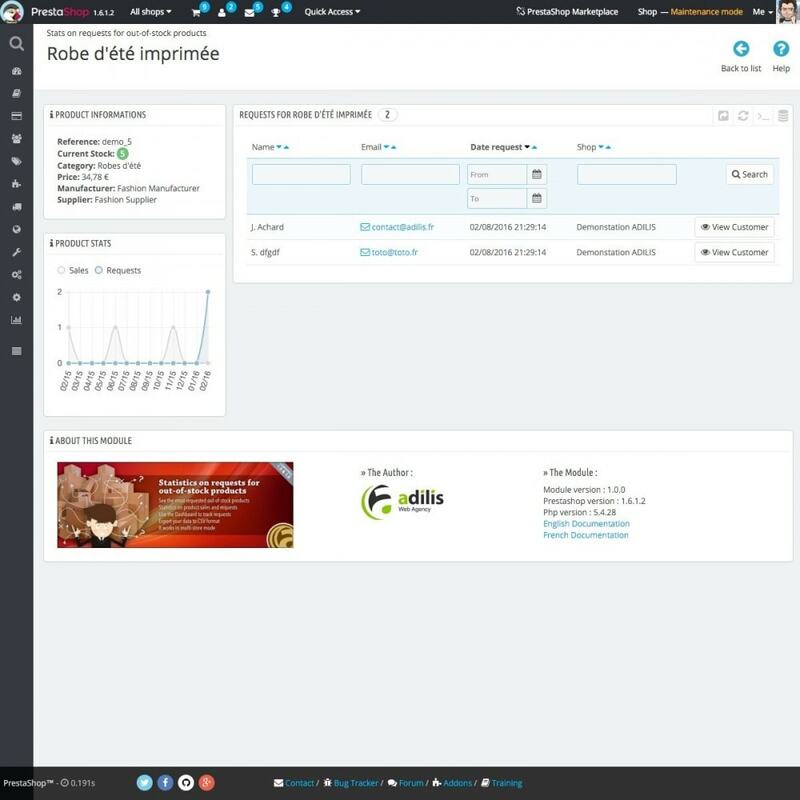 Collect and analyze customer requests for unavailable products. 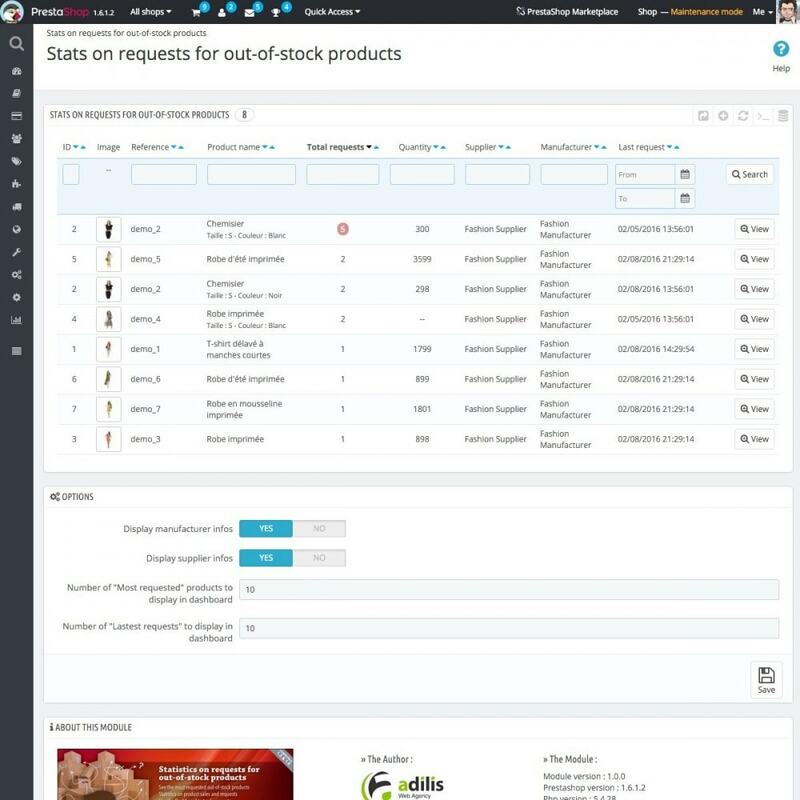 In addition to Prestashop’s «E-mail Alerts» module, «Statistics on requests for out-of-stock products» will allow you to restock based on customer demand and already-made sales. A clean graph will let you understand how a product evolves and whether restocking it will be to your advantage. 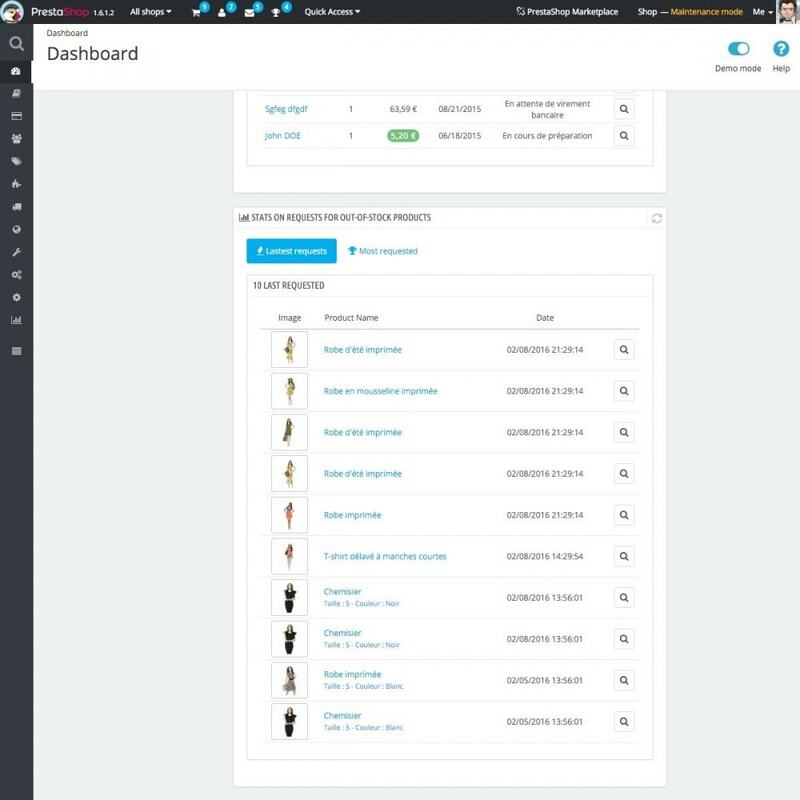 Use Dashboard tables to display on your back office’s homepage the most requested products and the latest orders made by your customers. 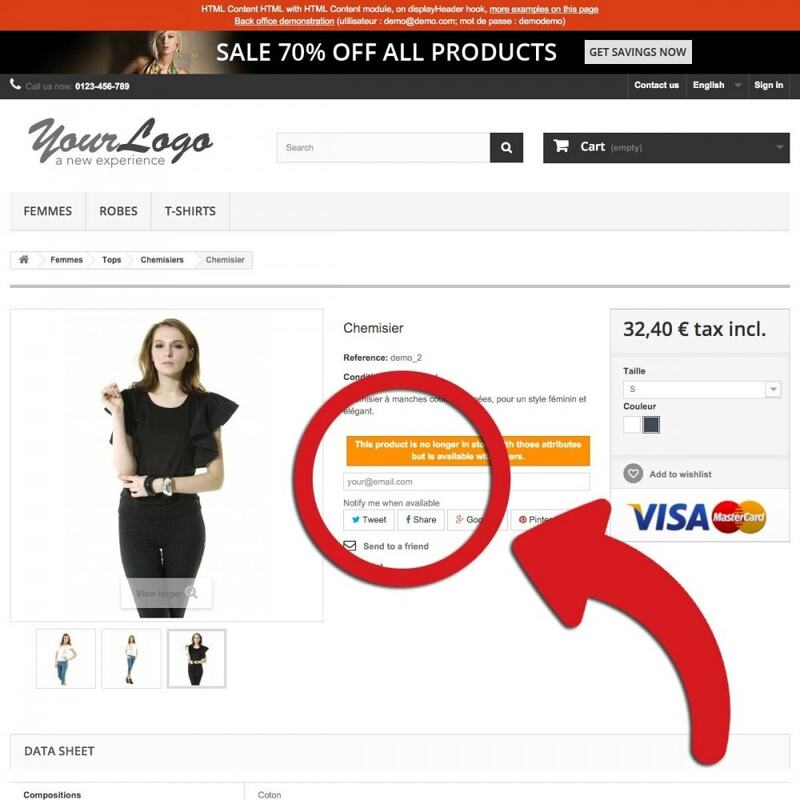 Do you have several stores in your Prestashop? No worries. 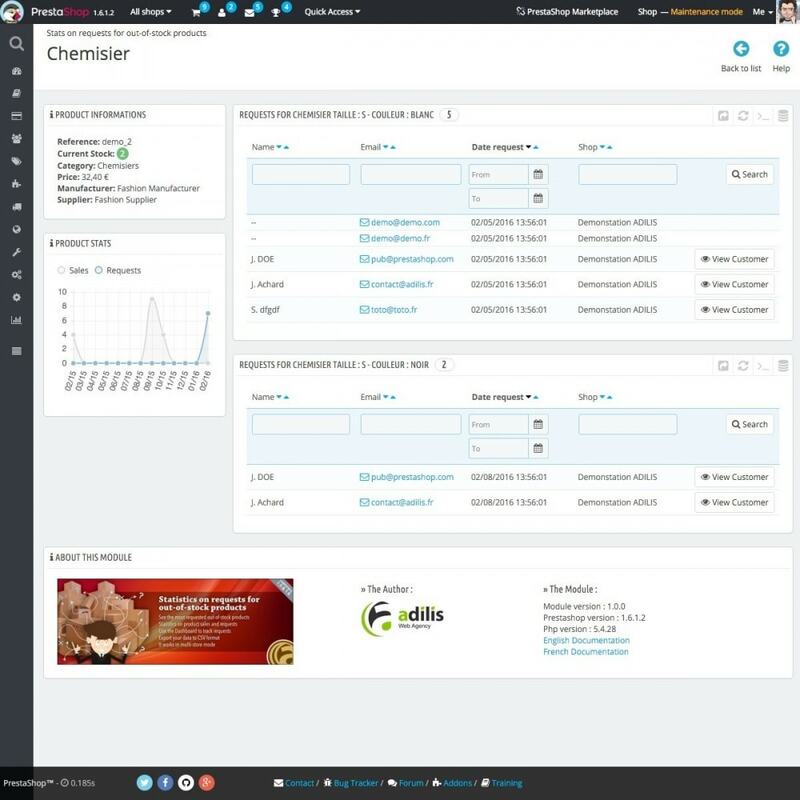 This module will let you do your analyses globally or on a store-by-store basis. Con questo modulo potrai facilmente modificare tutti gli ordini già esistenti dalla interfaccia di amministrazione del tuo negozio. Avrai la possibilità di effettuare delle modifiche ai documenti, pagamenti, trasporto, prodotti e tanto altro ancora. Change your offers to suit your customers’ needs. Restock your out-of-stock products based on their popularity. If restocking is impossible, use the CSV exporter to offer your customers a replacement product or a specific offer.